The Best UK Cat Blogs from thousands of UK Cat blogs on the web using search and social metrics. Subscribe to these websites because they are actively working to educate, inspire, and empower their readers with frequent updates and high-quality information. 2.2 Katzenworld | Welcome to the world of cats! 2.3 Total Cat Magazine | The Magazine for Modern Cat Lovers! 2.11 MasterPlan Cats Blog | As every cat owner knows, nobody owns a cat! UK Cat newsletter is a comprehensive summary of the day's most important blog posts and news articles from the best UK Cat websites on the web, and delivered to your email inbox each morning. To subscribe, simply provide us with your email address. UK About Blog The blog of Cats Protection, the UK's leading feline welfare charity. Read cat and kitten homing success stories, information and advice about caring for your cat. Facebook fans 662. Twitter followers 104,525. 2. Katzenworld | Welcome to the world of cats! London, UK About Blog Katzenworld, the place for all your cat needs! We cover cute stories but also more serious cat health and advice, product reviews and competitions. Facebook fans 10,375. Twitter followers 37,077. 3. Total Cat Magazine | The Magazine for Modern Cat Lovers! UK About Blog Total Cat Magazine is a title for informed cat lovers who care about health, diet, behaviour and the general improvement of their feline friends!! Facebook fans 2,754. Twitter followers 1,082. United Kingdom About Blog Tuxedo Cat UK is the home of the black and white cat. We exist to give a voice to Tuxedo Cats and champion their cause across the UK and the globe. Tuxedo cats are not a specific breed of cat but rather a common colouring amongst many cats, sadly because this colouring is so common they are often overlooked. Our website aims to promote the plight of the black and white cat worldwide. Facebook fans 535. Twitter followers 189. Cotswolds, United Kingdom About Blog A blog written by a cat, George, giving advice about humans and how to train them. UK About Blog A comical UK cat blog featuring the epically epic adventures of Bionic Basil & The 'B' Team. Sharing humour, brain training, mindfulness & cuteness. Facebook fans 15,429. Twitter followers 6,685. About Blog Edinburgh-Cats is THE site where cat lovers gather to meow, purr, and yawn about cats. We offer top quality articles, stories and ideas to giving you sound advice relating to your beloved pet. Whether it be health concerns, illness, best products to buy or anything else feline. Cambridge UK About Blog Here are some handy tips and thoughts from our professional medical team at the Cambridge Cat Clinic. Their mission is to provide excellent veterinary care for cats and their owners. Facebook fans 877. Twitter followers 560. Essex, England About Blog Hi, I am Athena, a rescue cat living in England. I was adopted by my mum Marie, who is an author, cat photographer & animal advocate. We are soulmates and together we write this blog and have super fun being creative. You see, I am Mum's muse and I inspire her creativity greatly. I also model for her a lot as you can see from all the photos. I hope reading my blog inspires you too! Facebook fans 132. Twitter followers 3,456. Scotland, United Kingdom About Blog My musings on cats, health, playtime, bedtime, safety, things to buy and favourite cat of the week. Also find useful information in general about cats. 11. MasterPlan Cats Blog | As every cat owner knows, nobody owns a cat! Stotfold, UK About Blog Small hobby breeders of Chartreux cats based in Stotfold. Our aim is to breed healthy, happy and well-adjusted cats who are a pleasure to own. 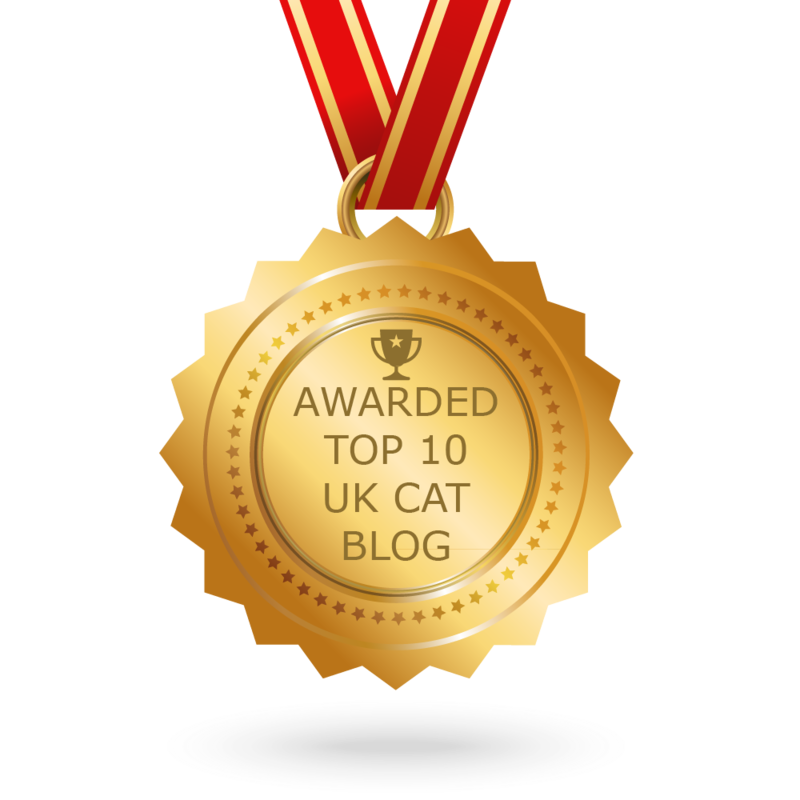 CONGRATULATIONS to every blogger that has made this Top UK Cat Blogs list! This is the most comprehensive list of best UK Cat blogs on the internet and I’m honoured to have you as part of this! I personally give you a high-five and want to thank you for your contribution to this world.